Sous vide (French for “under vacuum”) is a method of cooking food in an airtight plastic bag submerged in a water bath (steam can also be used). Submerging the food in water heated to the desired final temperature ensures that the food is cooked evenly throughout. And since the temperature never goes above the level you wish to serve it at, it’s virtually impossible to overcook it. 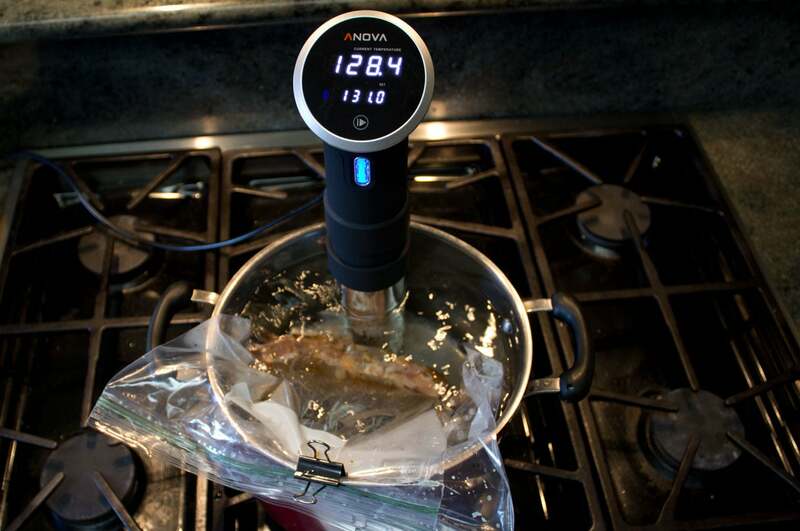 A conventional sous vide cooker consists of enclosed chamber with a heating element and a pump to circulate the water to ensure the water is heated evenly and precisely. Inexpensive models start at around $350. You provide your own water vessel with the ANova Precision Cooker, but the Anova costs only $179; more importantly, it delivers phenomenal results. 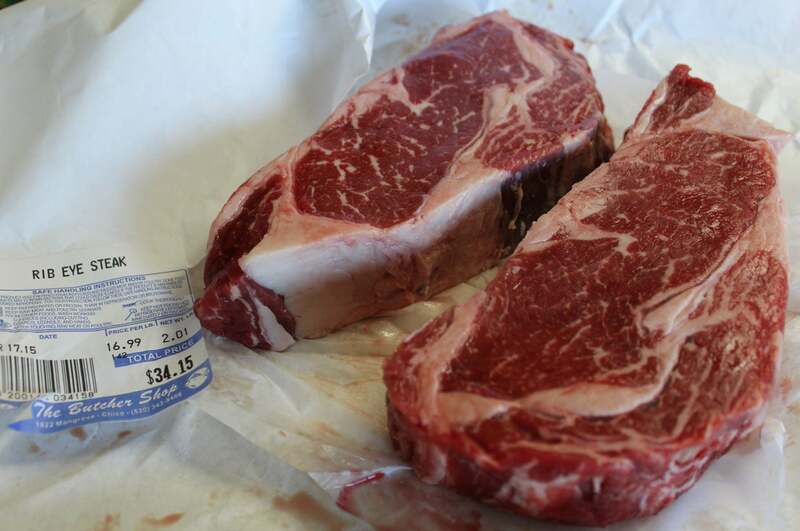 When you spend this much for a couple of prime steaks, you don’t want to take any chances on how they come out. The Precision Cooker is a 15-inch-long cylinder with a sloped touchscreen display (showing the current and desired temperatures) at the top. A heating coil, two temperature probes, and an impeller for circulating the water are housed in the lower half. An adjustable clamp holds the cooker to the interior side of whatever container you use (I used a 6-quart stainless steel stock pot for this review), while a second knob on the clamp lets you raise or lower the cylinder inside the water bath (the skimpy user manual doesn’t say whether or not it should rest at the bottom of the pot, but I elected to keep it about half inch above it). You use a knurled knob just below the top of the cooker to adjust the temperature, but the easier cooking method is to use Bluetooth to control it with an iOS device and Anova’s app (there is currently no Android support directly from Anova, but I found a $2 third-party app in the Google Play store). I used Anova’s app, and several of the recipes contained within, on an iPad. Using a binder clip to hold the plastic bag to the side of the pot prevents it from blocking the impeller inlet. The steaks are thoroughly cooked, but they don’t look all that appetizing. Cooking sous-vide style requires getting all the air out of the plastic bag in which you place your food, which can be tricky. Anova suggests submerging the bag in the water and relying on the surrounding air pressure to squeeze the air out. This is the technique I used and it can be effective if you’re careful not to let water into the bag, but a true vacuum sealer would be even better. 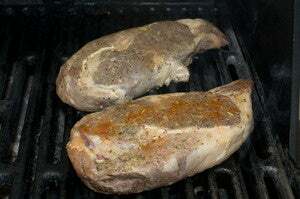 I prepared a couple of 1.5-inch, 16-ounce rib-eye steaks with a dry rub of kosher salt, pepper, fresh rosemary, and smoked paprika and left them in the refrigerator overnight. 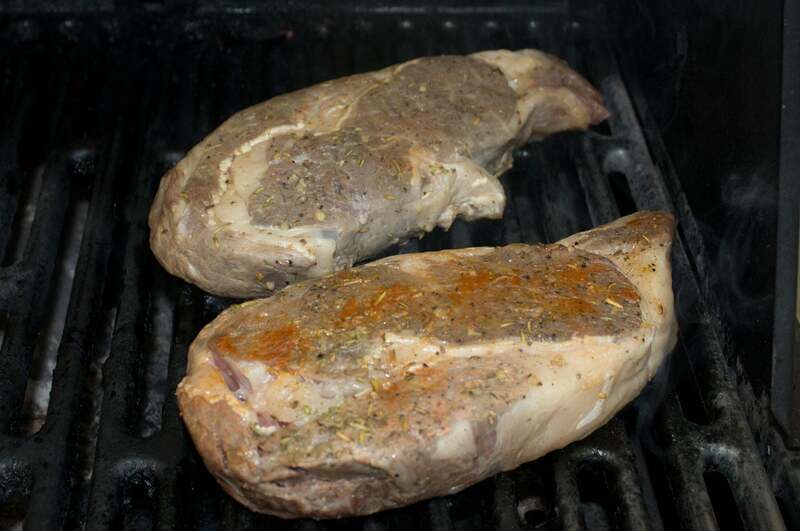 Just a few minutes on the grill quickly changes their appearance. The Bluetooth device you use will start the Precision Cooker, which will heat the water bath and keep it to within a fraction of a degree of the desired temperature. Each recipe has a built-in timer, and a chime will sound when the food has reached the desired temperature. Keep in mind when you’re preparing a meal, however, that the timer won’t start counting down until the water bath has reached that temperature. 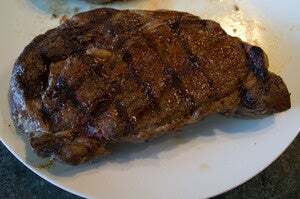 The steaks I prepared, for instance, were to be cooked at 131 degrees for 45 minutes, but it took an 20 additional minutes for the water bath to reach that target before the timer kicked in. Cooking artichokes with the Precision Cooker required two hours in a 190-degree water bath, plus another 50 minutes to bring the water up to the desired temperature. Some foods require “finishing” once removed from the water bath. 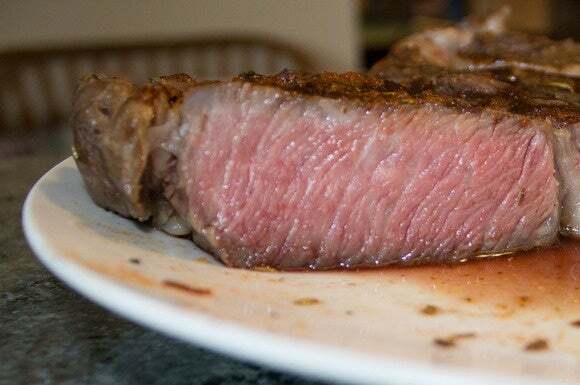 I seared the steaks on the grill for about two minutes on each side, for instance, to get that cross-hatch look and the char flavor that comes with it. In other words, don’t even think about cooking sous-vide style if you’re in a hurry. It would have taken about 10 minutes to grill those steaks on my barbecue (five minutes on each side), but they wouldn’t have come out so pretty and they would have been dryer and less tender. Some of the recipes i the ANova app don’t provide enough information. I would have reduced the temperature on this one to produce a slightly more rare steak. 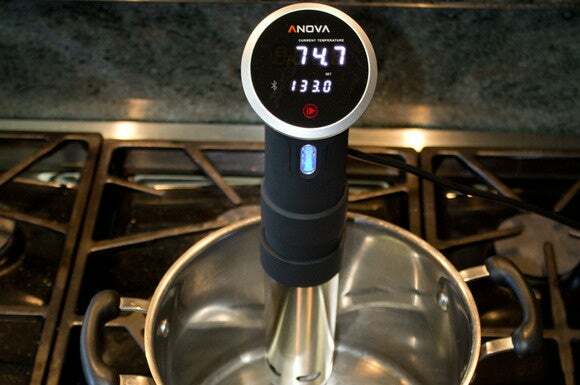 The Anova Precision Cooker is a luxury kitchen appliance to be sure, but it’s much less expensive than a traditional sous-vide cooker. And the Bluetooth feature and iOS app are handy features not commonly found on its competition. When I first heard about sous vide, I figured it was something I could do without. Now that I’ve prepared a meal with this one, I’m not so sure. Once you've prepared a dish sous-vide style, you won't want to prepare it any other way.